We seem to have a new addiction in our household: Perler beads. Have you ever used these? If not, let me explain what they are. 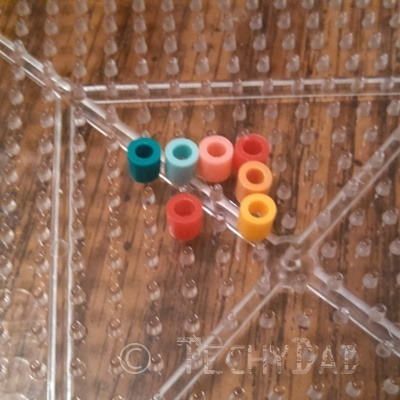 Perler beads are tiny plastic beads. 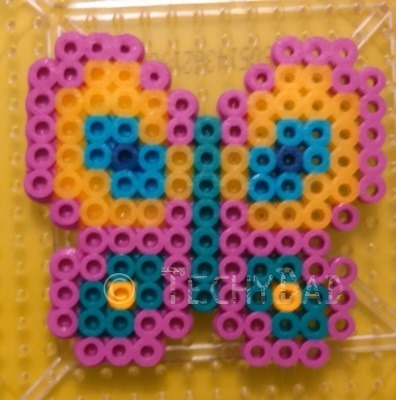 You place them on a plastic pin board to make designs. When the ironing is done, and your creation cools, you have something very cool to play with. 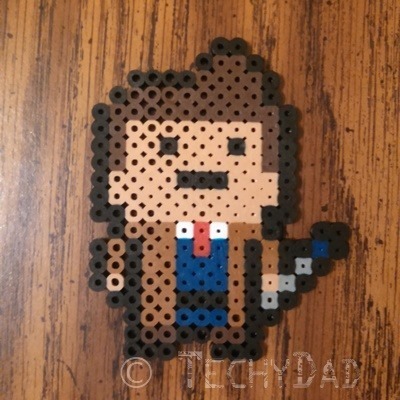 My first creation, of course, was David Tennant’s Doctor. While I was making this, NHL made an ice cream sundae. Later, JSL joined in the fun. 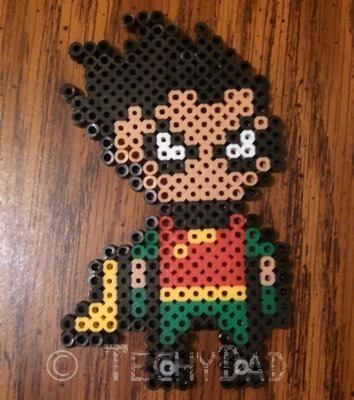 He wanted to make Robin from the Teen Titans TV show. We looked up an image online and worked on it together. I told him what colors to use and he placed them in. Then, I ironed it for him. After this, I decided to look up Autism awareness patterns. 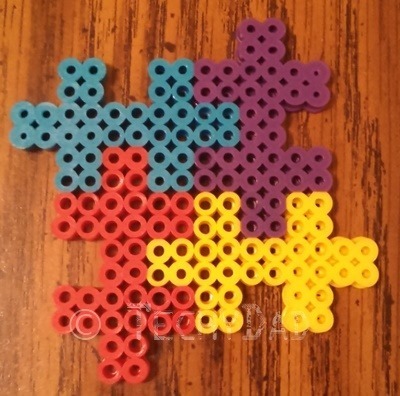 I found a nice small one of the Autism "puzzle pieces." It turned out so nice that I glued it onto one of the blank tie clips I have. Yes, I plan on wearing this into the office. 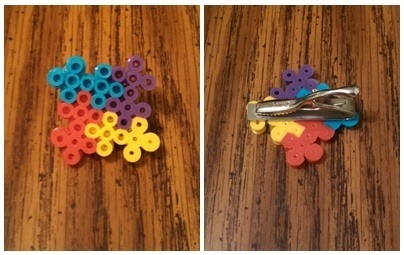 I’ve also considered making more of these and attaching them to pins to wear when I don’t have a tie on. I also made a larger one that we’ll turn into a magnet. JSL worked on some fireman pieces (which aren’t completed enough to make for a good photo) and NHL worked on a gaming system. Finally, B got into the act also. 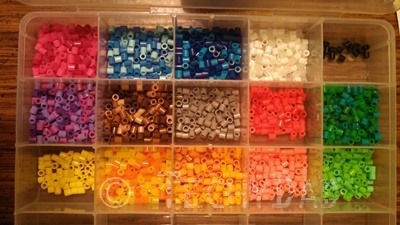 Previously, she been the "designated sorter" – sorting beads from the huge bucket into individual color bins. 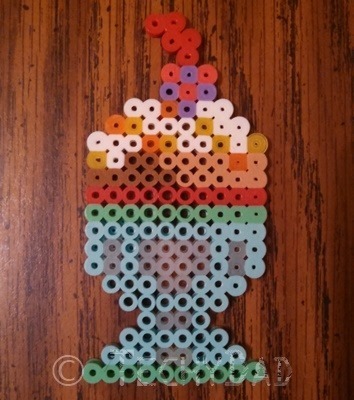 Here’s a perler bead shopping tip: You can get big buckets of beads from Amazon but we’ve found that going to local craft stores such as Jo-Ann with 40% or 50% off coupons (look in the paper or online) can help you beat that price. 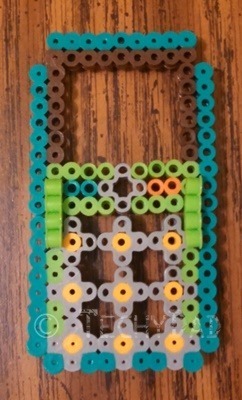 As far as inspiration goes, there is a vast store of perler bead creations online that people have posted. Some are in the form of patterns for you to follow. Others are just photos that you can use to recreate the creation for yourself. These can go from the very small to the very big. 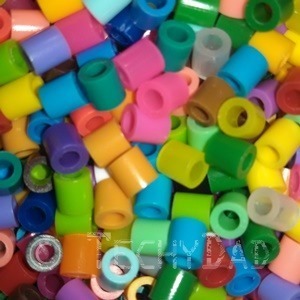 The sheer variety of perler bead possibilities means that we’ll be making perler bead crafts for a long time to come. 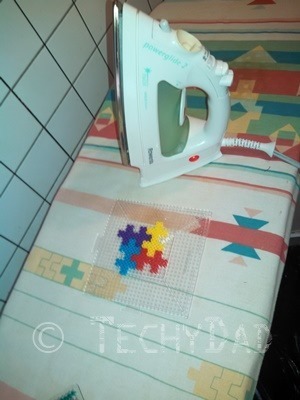 Have you ever worked with perler beads? If so, what have you made with them?